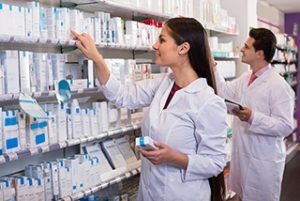 Surveillance for pharmacies is of paramount importance because theft is the primary concern for your business, especially since the start of the prescription drug epidemic. These are alarming statistics and show why pharmacies need to have eyes everywhere. Employee theft makes up almost half of all pharmacy theft. Fortunately, surveillance technology is at the point where a pharmacy owner can view their business from any internet connected device. This gives pharmacy owners much more control over their business, even when they are not there. Video Storage comes with storage device option which will help you fight any false liability lawsuits (i.e. slip and falls) which seem to be so prevalent these days within the real estate industry. We have also solved the problem for you of having to call in to get service. From experience, we know that things get in the way or you simply forget.